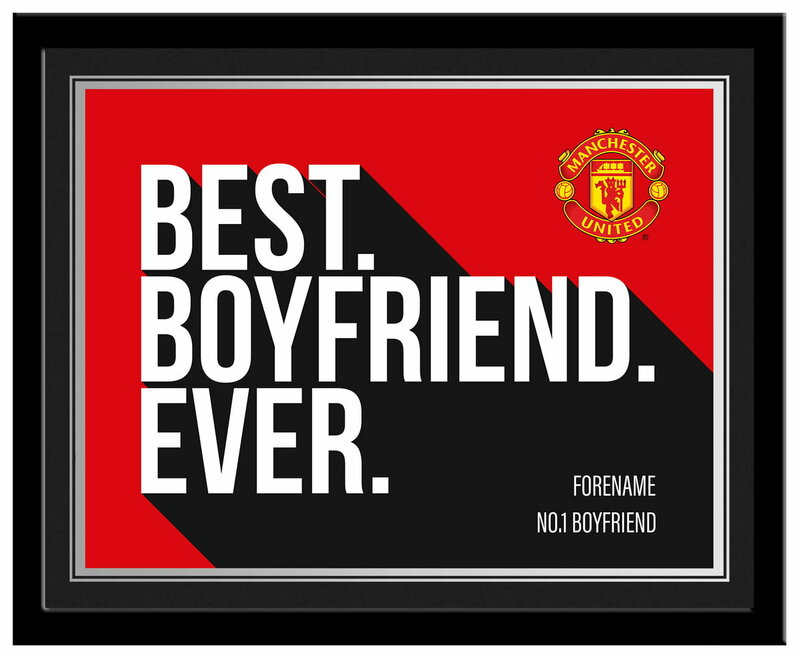 Our Manchester United Best Boyfriend Ever 10 x 8 Photo Framed is sure to raise a smile as the recipient sees their personalisation merged with a stylish design on a high quality framed print. Do you know a dedicated Bailly fan? This stunning gift is sure to raise a smile, as the recipient receives a personal message from their favourite Manchester United FC player. Do you know a dedicated Blind fan? This stunning gift is sure to raise a smile, as the recipient receives a personal message from their favourite Manchester United FC player. Do you know a dedicated Carrick fan? This stunning gift is sure to raise a smile, as the recipient receives a personal message from their favourite Manchester United FC player. Do you know a dedicated Herrera fan? This stunning gift is sure to raise a smile, as the recipient receives a personal message from their favourite Manchester United FC player.